Thanks for all the comments on The Dip, which we referenced last week. There are so many fans of this book, that we decided to follow it up. Conventional wisdom says winners never quit. 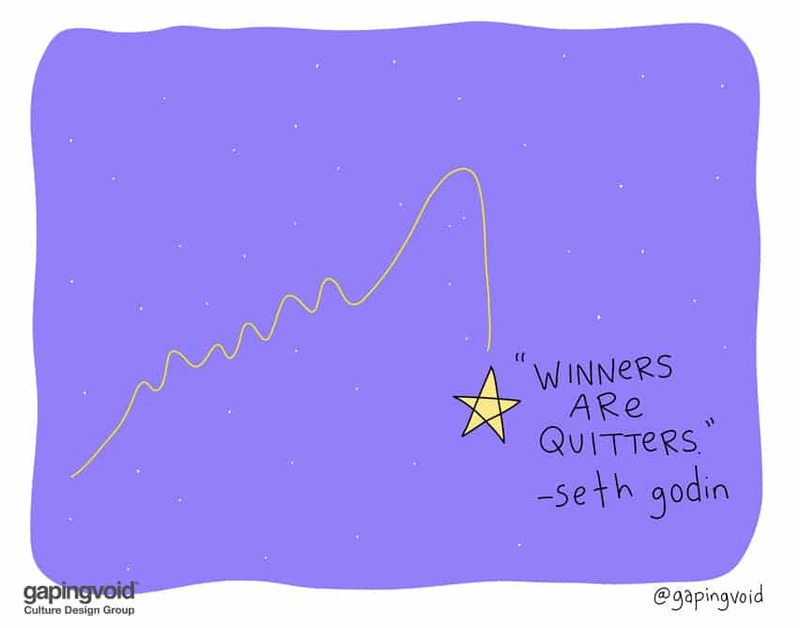 The Dip’s thesis says winners quit all the time, they’re just smart about it. To become a successful artist, first I had to quit my less-than-successful career in advertising. To become a successful realtor, Mary first had to quit her dreams of becoming an actress in Hollywood. Like all of Seth’s books, it’s a fun, thought-provoking read with a lot of brilliant, simply brilliant observations.